Bestselling Penguin Random House authors Emma Straub and Meg Wolitzer will appear at Barnes & Noble on the Upper West Side on Tuesday (5/31), at 7pm for a discussion and celebration of Straub’s highly anticipated new novel MODERN LOVERS, which goes on sale from Riverhead Books on May 31st. 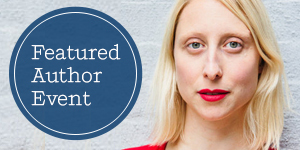 Emma Straub is the author of the New York Times bestseller THE VACATIONERS and LAURA LAMONT’S LIFE IN PICTURES. THE VACATIONERS became a must-have beach read in 2015 and with its promising advance praise, Straub’s latest novel MODERN LOVERS is making its way on to the beach-ready book lists of summer, 2016. 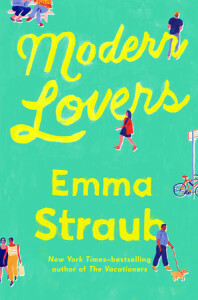 With reviews pouring in from Harper’s Bazaar, Elle, Huffington Post, and many more, MODERN LOVERS looks to be another hit for Straub who packs wisdom and humor into this coming of age novel for adults. Set against a Brooklyn summer backdrop, the characters in MODERN LOVERS are friends and former college bandmates who learn what it means to finally grow up as their children reach maturity and the passions and secrets from their own youth follow them into their middle-age years. 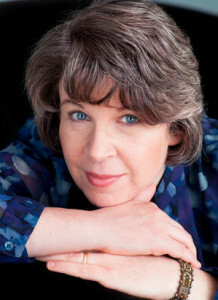 Joining Straub in conversation is Meg Wolitzer, author of the New York Times bestseller, THE INTERESTINGS. In her latest Riverhead book, Wolitzer, like Straub, explores the relationship between youth and middle-age along with the friendships, talents, and roles that grow and change through the years. Celebrated for her insight and ambition, Wolitzer garnered widespread praise for THE INTERESTINGS which joins her novel THE TEN-YEAR NAP in her catalog of highly regarded bestsellers. Visit barnesandnoble.com to add this event to your calendar.